When you are at a loss for how to jazz up your tired dinner dishes, you might look across the world for some inspiration. Fortunately for you, you don't have to be an expert in the kitchen to make some truly remarkable international cuisine favorites. Even though these dishes might be on the simpler side to prepare, their flavors are anything but ordinary. You might not have to slave over a stove to prepare it, but we won't tell your family that. Try some of these easy-to-prepare dishes that are sure to please (and only take you 30 minutes or less to prepare). So lets look at our 7 amazing 30 minute recipes. One of the best things about this dish is that it takes so little time to make it. For as much of a crowd pleaser as this dinner will be for your family, it is delightful to know that you can whip up these noodles in around 15 minutes or so. In order to create an authentic flavor, you will need Yakisoba noodles, vegetable oil, scallions, soy sauce, vinegar, white sugar, cabbage and chicken/beef broth. Preparing the sauce is simple and easy to do and once you saute some vegetables, you only have to mix it all together and serve. You don't have to be an expert in international cuisine to make this dish effectively. There are few ingredients that go into it, which usually are: coconut milk, red curry paste, chickpeas, red bell peppers, and potatoes. Heat up the curry and begin to add in all of the other ingredients into the mix (except for your bell peppers and chickpeas). Once you have combined all of these items, you will be ready to add in your tinned chickpeas and the red bell peppers and plate your concoction for serving. Fish is always a great choice to spice up your family dinners. If you are really trying to branch out, try this roasted salmon dish. Preparing the dish and pulling all of its flavors together isn't difficult. 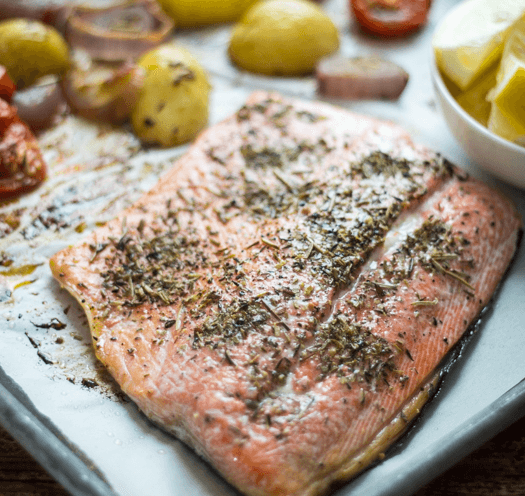 Try to serve your salmon with some potatoes and vegetables. Start with baking your potatoes for roughly 15 minutes in your preheated oven. Season your vegetables and cook these in the oven for 15 minutes as well. At this point, add in the salmon seasoned with the same spice concoction you have used on the vegetables you are cooking. This will tie the entire dish together. This is a soup that has a really complex flavor. Furthermore, if you were to just look at the ingredients list, you would think that it was complicated and difficult to prepare. To make this dish, here is what you are going to need: chicken broth, wild lime leaves, mushrooms, lemon grass, shrimp, tomatoes, ginger root, lime juice, chili garlic sauce and fish sauce. Bring all of the ingredients (except the shrimp and the sauce) to a boil. Once the broth is nearly cooked, add in the sauces and the shrimp. Add some cilantro, lime juice, and chili to a bowl and then your broth mixture. Tom Yum Soup is served. No matter what, you really can't go wrong with pasta Adding a little variation on these classic dishes though might breathe some new life into your kitchen. You don't need a lot to pull this one together. This dish is comprised of: chicken breasts, cherry tomatoes, oregano, olives, an onion, olive oil, salt and lemon zest. Of course, pasta is the main component and this is prepared first and separately from the rest of these ingredients. Season the chicken with the spices and cook to a slight browning. Add in cherry tomatoes and olives once the chicken is cooked, and stir it all in with the pasta you have prepared. If you really want an authentic taste, this dish works best over saffron rice. There are few ingredients to speak of in this complex tasting dish, and these include: the chicken, onion, garlic, olives, capers, paprika, tomatoes and other spices you deem appropriate. Seasoning the chicken is your first step, followed by sauteeing the onions and then adding in the chicken to be cooked. Add in the other ingredients to this cooking concoctio﻿n and then serve over soft saffron rice.